The Elite 4000 treadmill has a continuous duty 4.0 CHP (6.0 HP peak) motor that speeds the belt up to 22kph (13.6mph) and features 1-Touch™ Speed and Incline Keys for quick and easy selections. 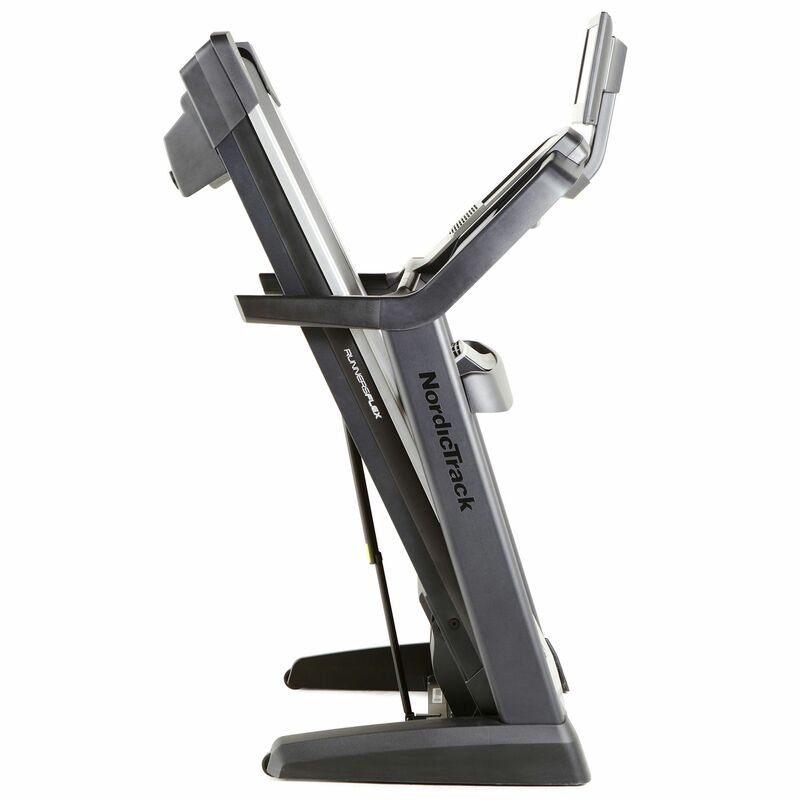 Its 0-15% incline range allows for targeting different muscle groups, while a -3-0% decline range helps you strengthen legs and prepare yourself for downhill segments. This sturdy NordicTrack machine is fitted with a 7-inch full-colour touch display with Android™ web browser and lets you keep track of key workout data, with an integrated 15-inch high-definition television that helps you stay entertained. It has a great selection of 43 programmes and iFit functionality to let you maximize training experience. The 2-ply belt reduces noise and friction for quiet workouts, whilst the Runners Flex™ cushioning guarantees exceptional impact absorption for joint comfort. I'd been looking for gym style treadmill and came across this treadmill on sweatband at a great price, I've been using it for a few weeks now and it doesn't disappoint, I must say I am impressed with this machine , this machine is BIG so make sure you have a room big enough to take it, yes it does fold up for storage but it's still BIG, they are lots of programs for beginners to experts and you can also sign up to ifit which will give you even more programs. I'm very pleased with my purchase. Excellent piece of kit. Lots of features which one may not choose to use, but I particularly like the HD TV / speakers which makes for well-entertained workouts. Big / heavy / robust / solid. Large track area. No negatives, you get what you pay for. So far - after 2 months or so, very impressed. Easy to use and has a good solid feel and very smooth. My previous treadmill was a life fitness T3 and I have to say that this is vastly superior. Really impressed with the elite 4000 so far. It has bags of features and functionality and is a dream to run on! iFit is also really cool as it's a great way to track progress and stay entertained during a run. Can't figure out a way to get a stereo sound out of the HDTV. Looks like it doesn't. But to be honest we bought it as a treadmill and not a cinema so would only knock half a star of for this at worst. Last word on the running deck - it's great, and I do mean GREAT. It's the nicest run on a treadmill I've had and it seems to be softer than the machines in the gym. To sum up I'd say this is a really nice, full sized (make sure you've got the room for it) and fully loaded treadmill which I think offers excellent value. This seemed like the best treadmill for me because of the motor and the decline function which is very useful whilst training during the winter. I like to run A LOT and this is aiding my training schedule over the winter months, I feel as though I can get as satisfying a workout using this as I would running outside. Great piece of kit - very high end like the ones you get in the gyms. I have a big family so needed a treadmill that could handle daily use by multiple people and this fitted the bill. Great service by sweatband as per usual with quick communication to book in delivery. Overall I have nothing but high praise and recommendation for this treadmill- if you have the budget and the space for it, then it is a no-brainer! The machine does everything it says on the tin, robust, jam-packed full of features and entertainment! My family of 4 use it daily and unanimously love it! A quality treadmill that one would be familiar with in the gym. Powerful, with a high quality over-sized running deck, fancy console and entertainment system, along with a good range of programmes. We really enjoy the sightseeing features on the I-Fit Live, it has helped me become more motivated to complete my running miles each time I run a route around the world. I have been using the treadmill 3-4 times a week since we purchased it 3 months ago and have already lost 5kgs. 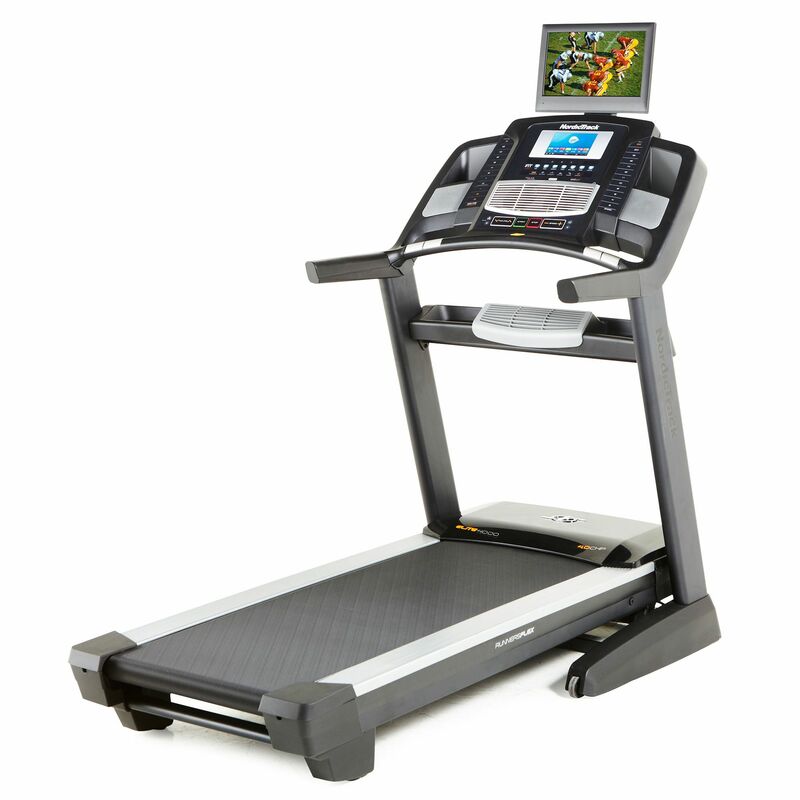 This is simply an impressive treadmill and earns every inch of 5 stars from us! 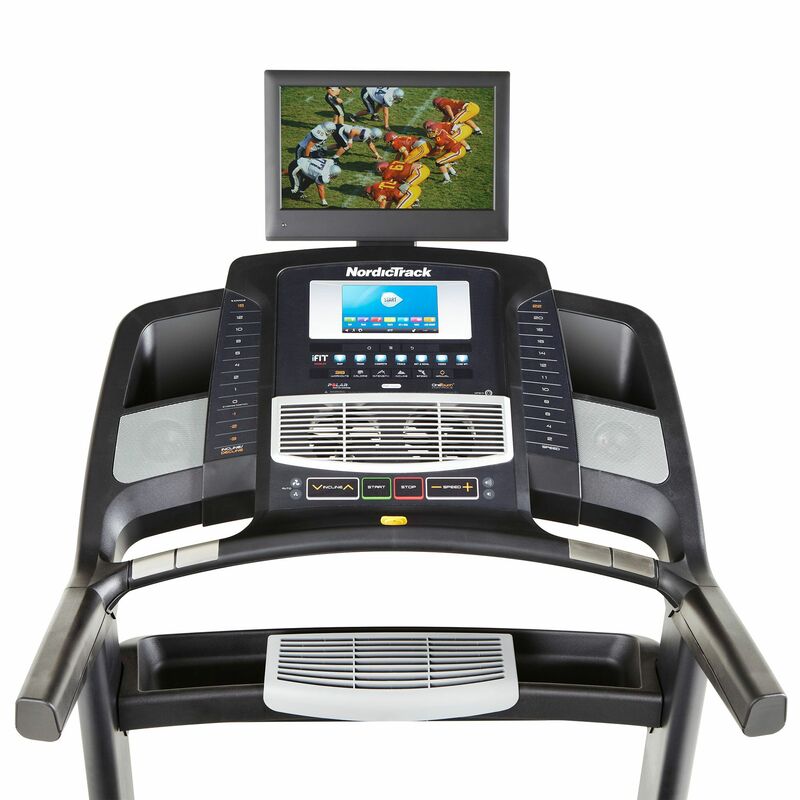 The Nordic Track Elite 4000 is a seriously impressive running machine offering, robust build, superb cushioning, 40 programmes, great console and further a TV. Nordic Track haven't skimped on the basics either: It has a huge motor, big rollers, and a high quality deck system. This, coupled with the iFit Live console and entertainment TV, make this a great treadmill, watching your progress on the course using Google’s street view adds an element of excitement and motivation to train a bit longer, and at this price it represents incredible value for money that is hard to beat! You definitely wont get bored! for submitting product review about NordicTrack Elite 4000 Treadmill.